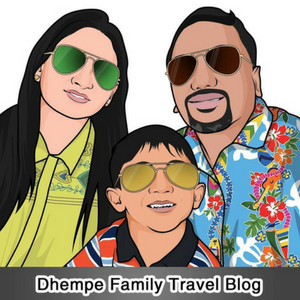 I have traveled to many countries in the world like United States for official conferences, Hong Kong for video blogging, South Africa for Travel blogging/Cricket blogging and Sri Lanka for photo blogging. Each of them have been interesting in their own ways and one of the main differentiating factors have been the food destinations in each of these countries. Being a foodie, I love to explore amazing food that each destination has to offer and try out however unpleasant it may look like or smell like! Jalan Alor market in the heart of Kuala Lumpur has got a bustling nightlife scene with regards to hundreds of food trucks dishing out yummy fare to thousands of hungry locals and tourists who want to enjoy a slice of fusion of cuisines available in Malaysia. You can also get into the many “Kedai Mamak” (Curry Houses) or “Kedai Kopi” (Coffee Shops) to mingle with the locals who mostly know English and chat with them and ask them for suggestions before trying out some local fare. The food cost is very easy on the pocket too and thus you can do a food trail with very less investment from your side! Cameron Highlands in Pahang is Malaysia’s largest hill resort. There is a British culture here of having scones with your afternoon tea while you enjoy the cool weather and taste some fine produce of strawberries and vegetables. I would love to see the picturesque view of flourishing tea plantations while I enjoy a refreshing cup of tea. I would like to enjoy amazing views of World’s tallest twin towers – Petronas Twin Towers while enjoying a meal at a restaurant in Bukit Nanas tower. Having a glass of wine while eating a salmon while looking over the amazing skyline gives an exhilarating feeling of power and success! George Town, the lively capital of Penang, has over 200 years of history and cultural heritage under its belt. It is renowned for its mouth-watering food, attracting steady streams of foodies from around the world to its warm shores. I would love to try out some amazing food from all over the world here with special emphasis on British and Malay food! Popular among divers and ecotourists, Tunk Abdul Rahman park’s relatively shallow waters are filled with an abundance of corals and aquatic species perfect for snorkelling and diving for beginners. It’s also an amazing place to have BBQ lunch or dinner overlooking the ocean where you can relax with family and friends. So the above 5 are my most favorite food destinations in Malaysia which I would like to explore this year! Hope my dream comes true and I can make all these dream experiences true!